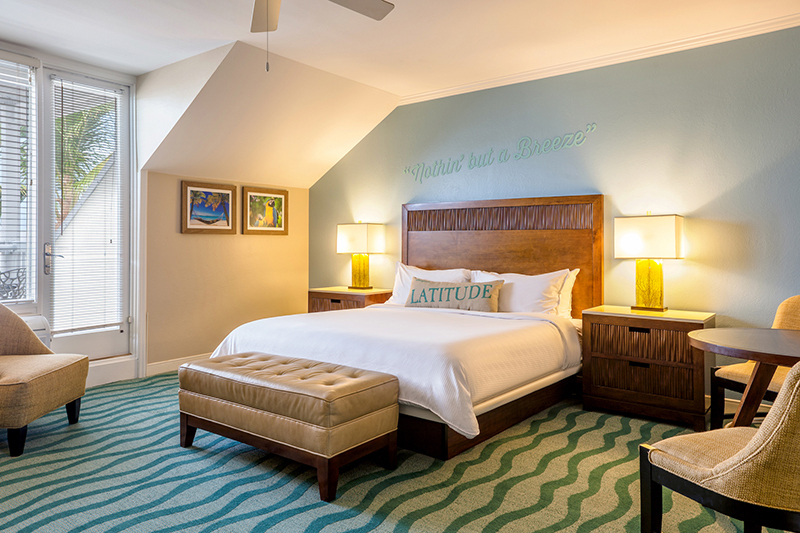 Gaze at a partial ocean or full oceanfront view from an airy Deluxe Room. Each opens to a patio or balcony furnished with a coffee table and wicker chairs for easy outdoor relaxation. Inside, rich wood furnishings and a natural color scheme create a haven of balance and comfort, complete with a breezy ceiling fan and plush armchair.